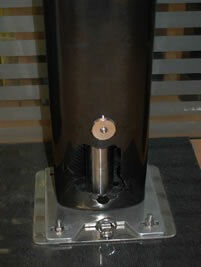 Maxspar presents a new carbon rod device lighter than 70% of that in steel rod. 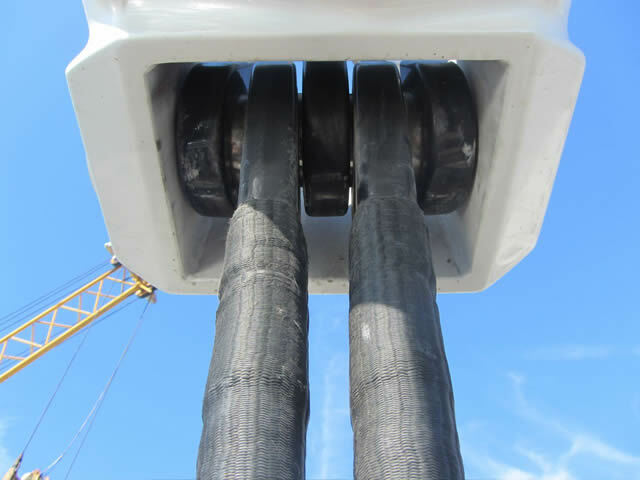 The cable is flexible and can be rolled up for shock-resistant shipments and can be repaired in the event of a partial break. 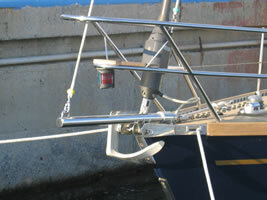 The rigging is covered with a braided polyester sock to protect the color of the customer's choice. There are no time limits after checking every 5 years. 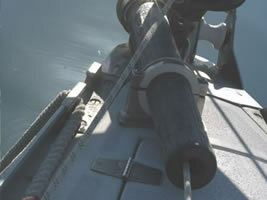 The terminals adapt to any type of connection on mast . 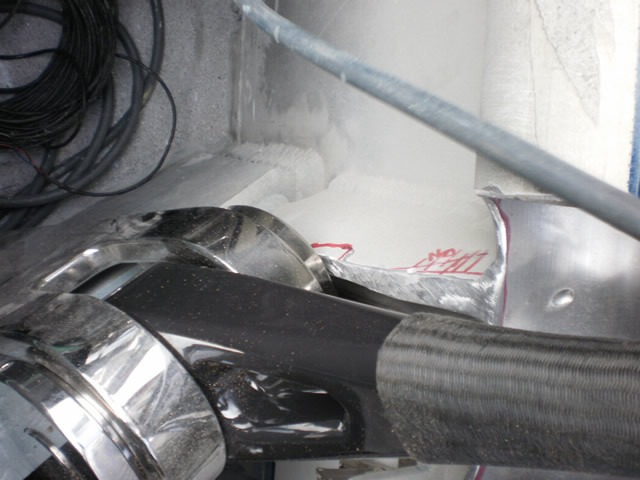 The cable is made of Toray T700 carbon fiber, curing temperature of 180 °. We can use a high-tenacity fiber and improve break the weight and diameter. The rigging is continuous and splits on the spreaders does not need tipcup. 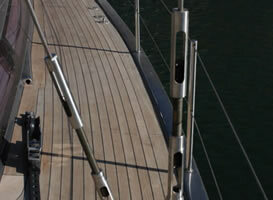 The diagonals are part of the vertical and the fibers starts from the deck. 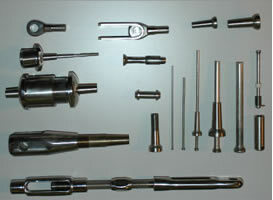 The terminals rigging are made with eye or fork that are fixed on the barrel pin. 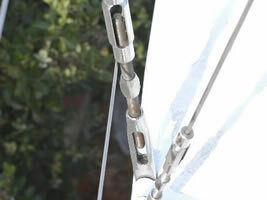 On the mast there are threaded bars for fine adjustment (hangar). 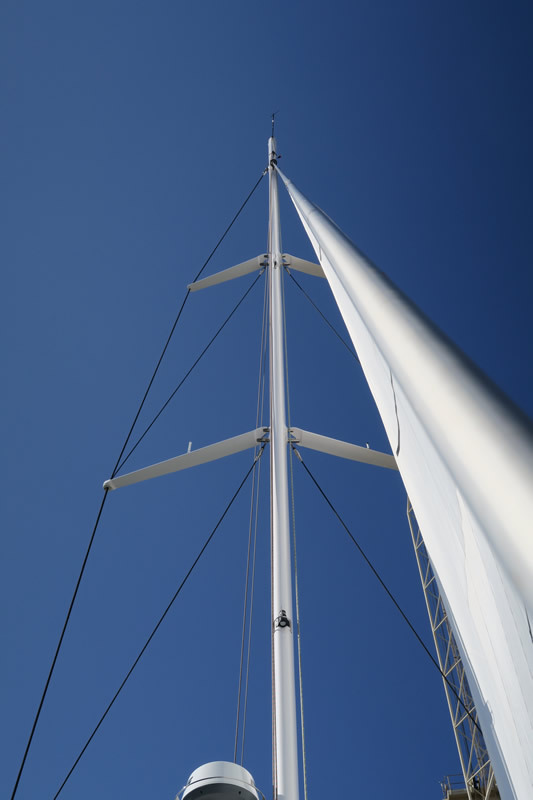 Our rigging can be adapted to any mast . On the vertical 1 and diagonals there is an additional protection, external to the polyester sock. 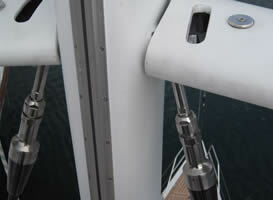 Components and accessories in upper part in titanium grade 5 and lower part in stainless steel AISI 316l on the bridge. 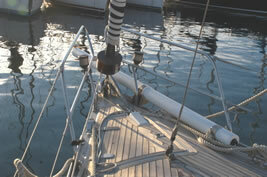 The rigging is dimensioned on the boat's data: sail plan and RM 30 ° and the geometry of the mast. 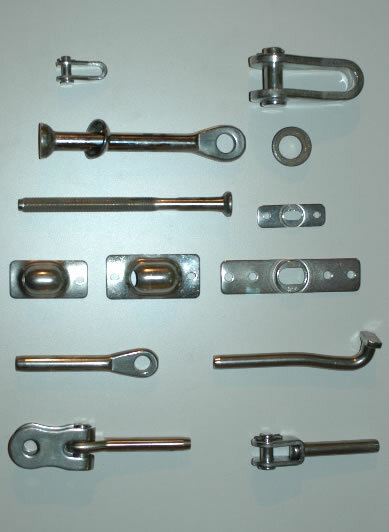 We build wire shrouds and rods and we have three types of presses suitable for all types of work. 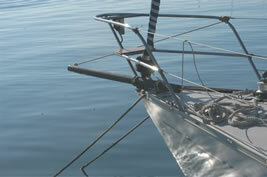 We are therefore able to modify the shrouds with the boat moored in front of our workshop. 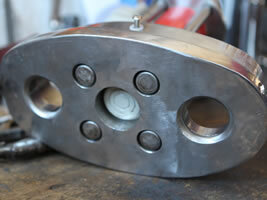 We are able to make on-site any type of accessory of all sizes from a tip cup to goose flap. 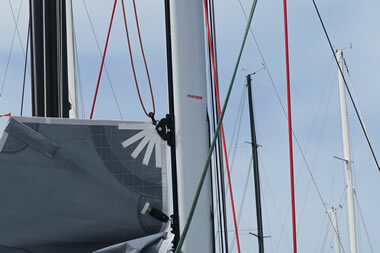 A new hybrid profile for the Furling Genoa in carbon and aluminium. 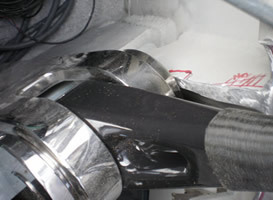 The carbon profile ø50mm 2,5mm thick with a twin groove in aluminium. 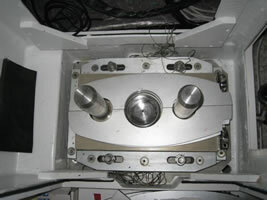 The per meter weight is 996 grammes. 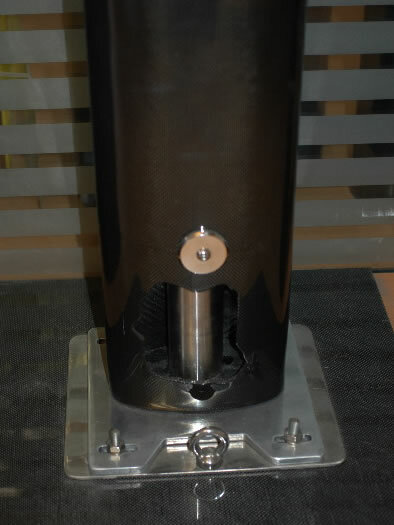 The profile is made of carbon using the same technology as for the masts with a special lamination for torsional loads and it is cured in an autoclave. 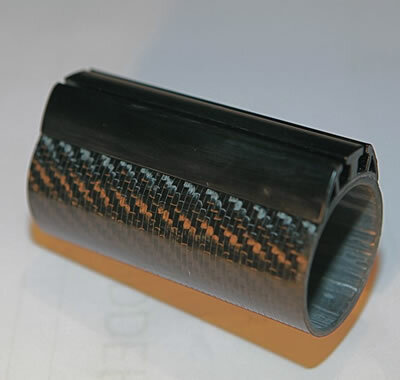 This extruded anodized channel is designed to be used on carbon profiles of diameter ø43, ø50, ø60 mm. 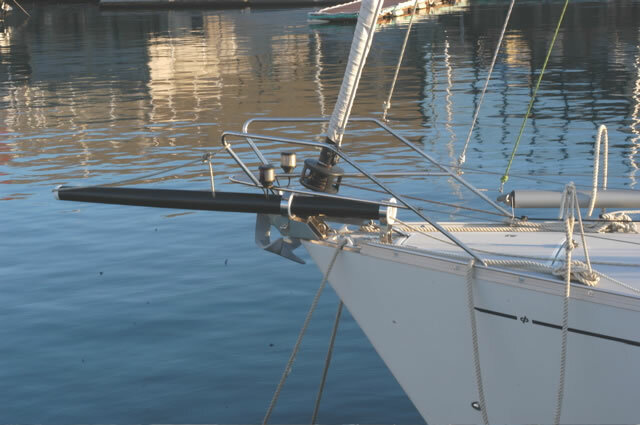 The profile is adaptable to any type of furling genoa with a simple modification of the connection tube between the drum and profile modification cursor. The savings in weight compared to aluminum profiles is 50%. 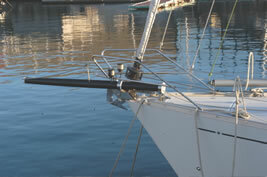 -the first of a technical nature to get more strength in the area where the sail transmits torque to the profile. 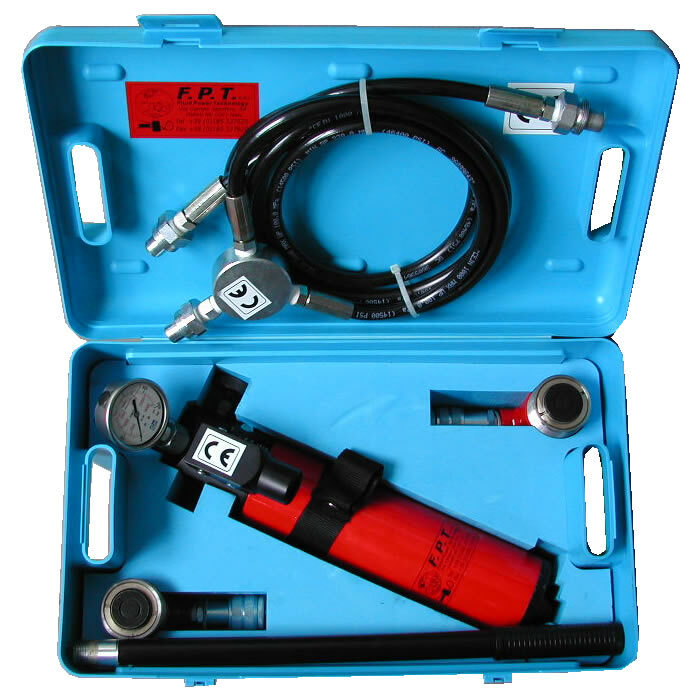 The second is to obtain an extremely competitive price quality ratio (weight of the product). we prefer to supply the profiles painted in a light colour in order to protect them from heat which in extreme conditions could bring the material close to the limits of glass transition. 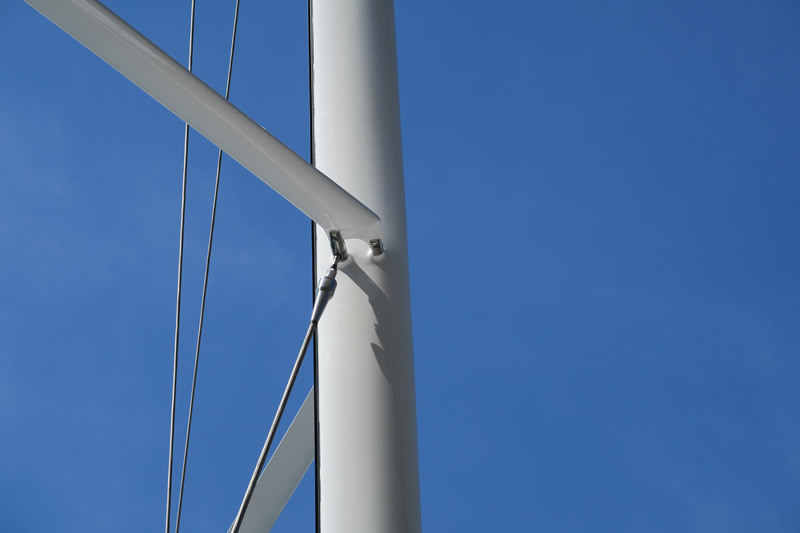 It is obviously improbable that a pole spi will be used at temperatures of around 90 °. on request it is possible to have a transparent finish with the possibility to see the weft and warp of the carbon matting with a surcharge of 12%. 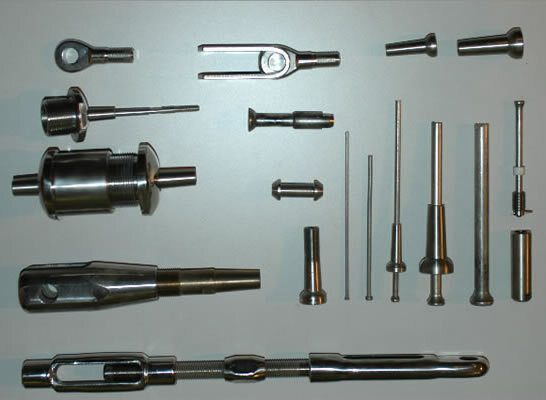 having a 30m autoclave we do not have any problems with tube length and variations in price, variations in length of +/- 10% will not affect the quoted price. 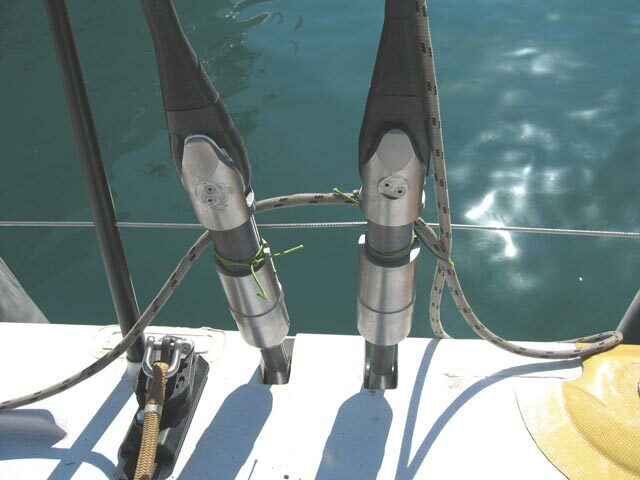 the forespar heads all have an automatic closure with internal trip line series "uxp"
with the order we need the length J of the ims rating certificate which corresponds to the distance between forestay in deck and rotation pinspi belt. goods are franco our facilities in Genoa port. Considering the length and destination please contact us directly to arrange courier delivery. for our bank details or for more information please contact us. 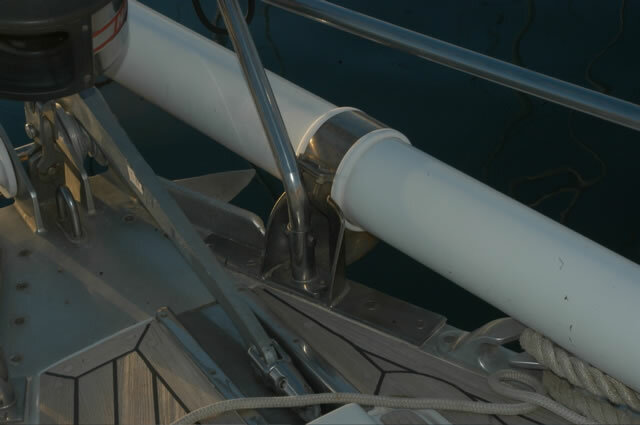 The photos below detail various solutions we offer to allow a bowsprit to be installed in the stern on different types of vessels. 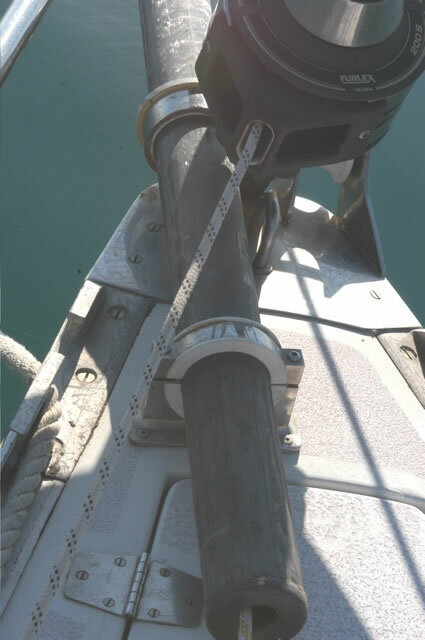 In order to locate the ideal locations for fitting the bowsprit support rings on the bow roller it is necessary to have the bowsprit on board and try various positions. Usually those vessels which can moor at our workshops on Molo Guardiano (Genoa) have a significant advantage both for the semplicity of the construction process and ease of fitting. 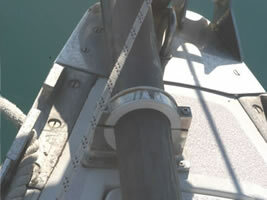 We can supply a carbon tube with terminals designed for the sail area required and 2 clasps with resin rings. 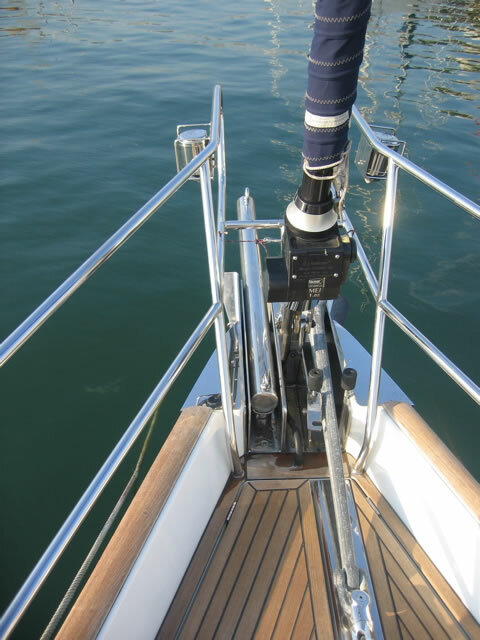 In order to make a quotation we need to know the dimensions of the vessel loa - beam - dspl- the sail area which will be used on the bowsprit - teh overall length of the tube specifying the length that will overhang the stern. 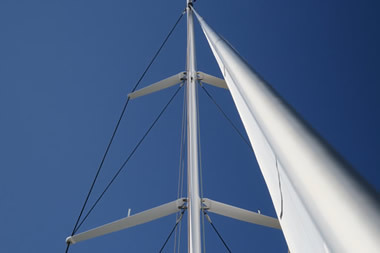 The regulation of a yacht's mast after masting and before commencing navigation is called pre-tensioning. 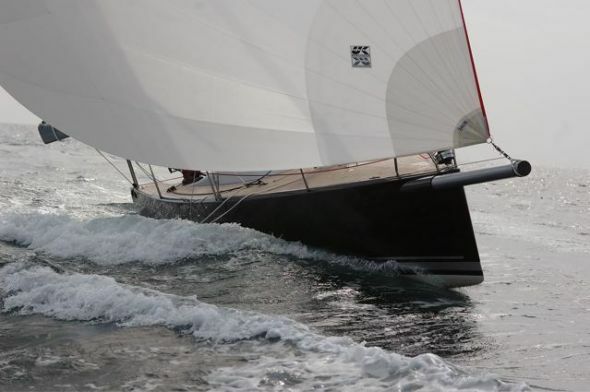 Why pretension the yachts rigging ? 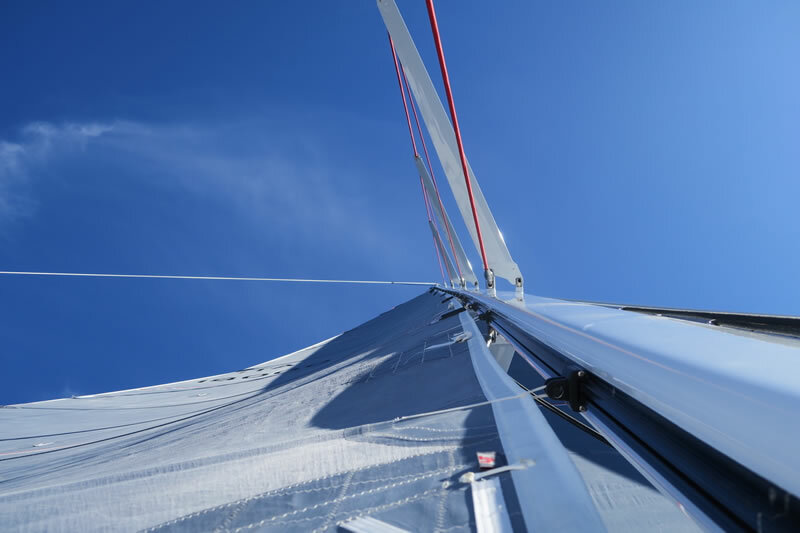 Without entering into the merits of pretensioning which depend on and vary according to each sail plan and rigging but I would like to put forward that in general the V1 and D1 have a higher load with respect to diagonal intermediaries which operate under much lower loads. 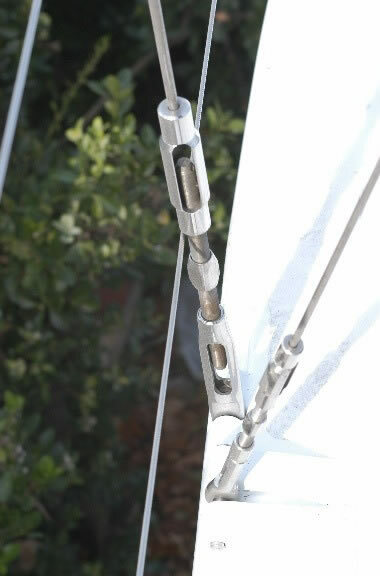 The Mast Jack is both useful and important for regulating the mast and obtaining the desired pre-tensioning and allows the load to be removed without losing the regulationof the rigging. 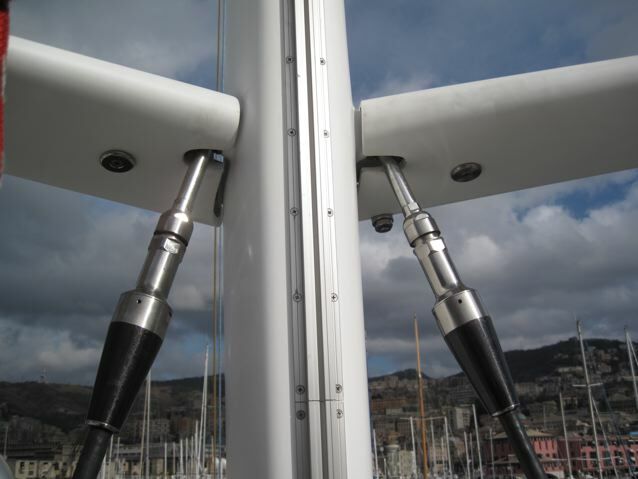 The use of the lifting piston is both useful and efficient for the mast's regulation, however applying load without due care and attention can damage the mast and structure of the yacht. 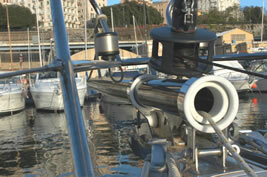 For large vessels it can be said that this system is indespensible for their correct regulation. 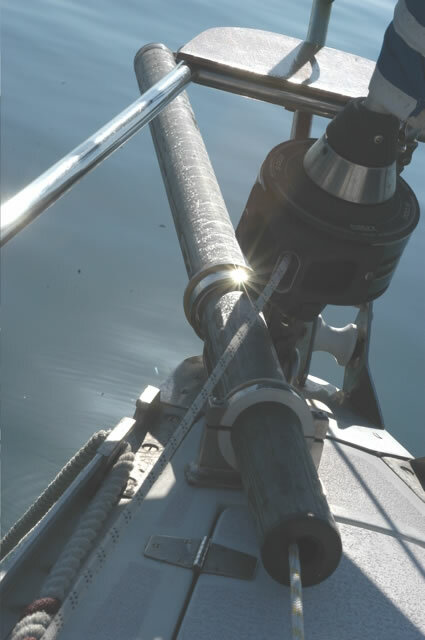 The max load to apply on the piston must never exceed 20/25% of the max load allowed on the rigging and must be specified by the mast make for each type of yacht. 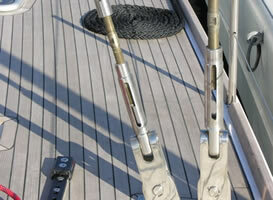 Important details for the correct regulation of the piston (Mast Jack). 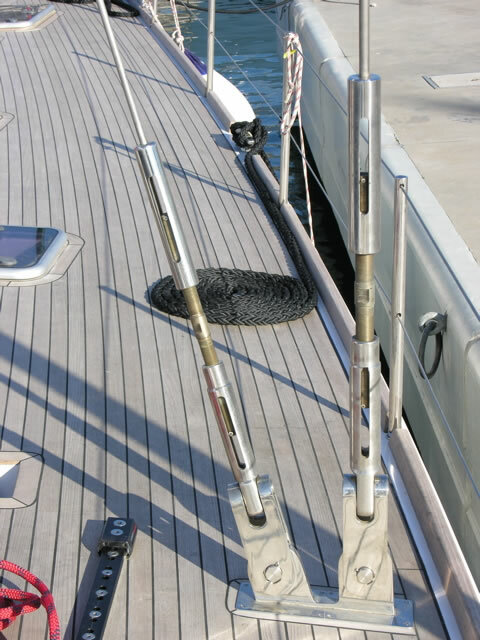 The use of a piston jack is a very efficient method of regulating the yacht mast., however care must be taken when applying the load to avoid damage to the mast and/or boat structure. For large sailing vessels one can say that a mast jack is essential for correct mast regulation. 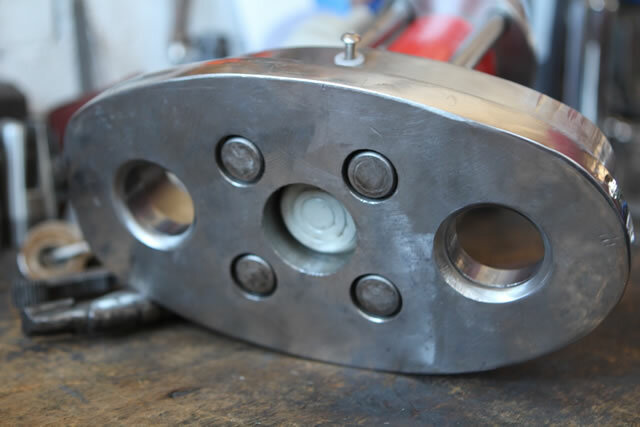 The maximum load to apply to the piston must not exceed 20% of the maximum load that can be applied to the rigging and should be specified for each vessel by the manufacturer. 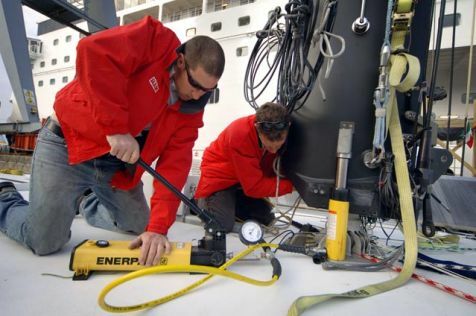 Important data to consider when regulating the mast jack. the spacers can vary in height according to the elasticity of the structure and the deformation of the boat. There is no fixed rule apart from good common sense and some testing of different loads to find the ideal tension. 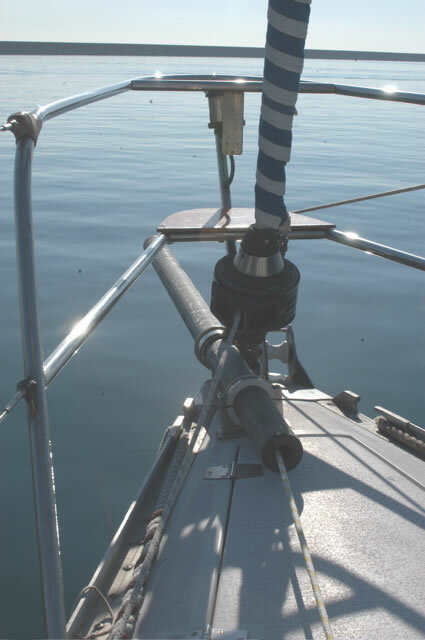 Ensure that the foot of the mast, when resting, touches on all it's perimeter both fore and aft in order to distribute the load uniformly along the profile surface. 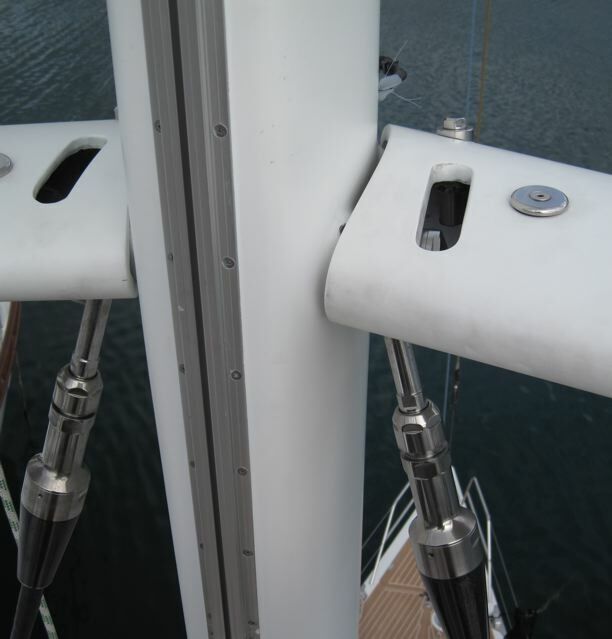 If the mast touches only fore or aft , modify the wedge shaped spacers to ensure that the load is evenly distributed. 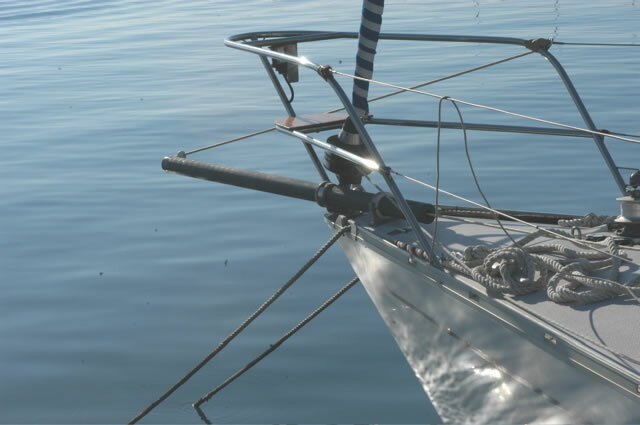 NEVER USE THE MAST JACK UNDER SAIL BECAUSE THE PISTON LOAD IS COMBINED WITH THE LOAD OF THE MAST UNDER SAIL WITH THE POSSIBILITY THAT THE MAX WORKING LOAD COULD BE SURPASSED WITH POSSIBLE DAMAGE TO THE BOAT STRUCTURE AND MAST. 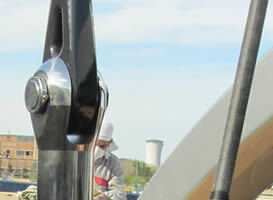 All masts whether racing or cruising require periodic maintenance. As with the car which requires engine maintenance every 10000 - 15000 Km, or for planes which require regular maintenance every 30000 h of flying time or 60 months (complete rebuild). 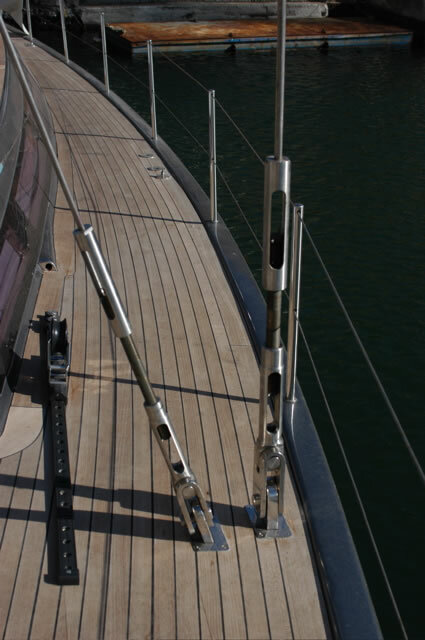 Following the same logic every 3-4 years a yacht should be demasted, the rigging disassembled, and all the high load steel parts, pulleys, bolts and other fittings etc. should be checked. Disassembly of the rigging, cleaning of all components, removal of all oxidisation and a visual check to determine the presence of cracks are the first rules for careful inspection. 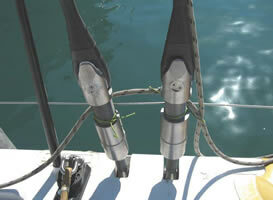 The rigging terminals should be carefully checked, they should be integral without cracks or breakages. It is necessary to check that no strands are broken and that there is no wear on touching parts. Sometimes this is not enough. 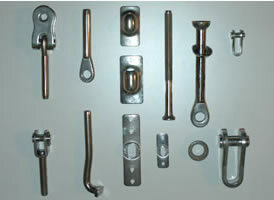 The rigging accessories are subject to various types of wear and tear, many very difficult to identify. 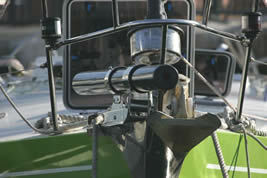 Immagine a piece of wire cable which is bent one way and then the other, after a few cycles it breaks. 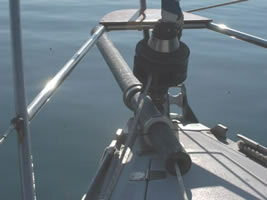 The rigging, if in a different way, is subject to the same principles. 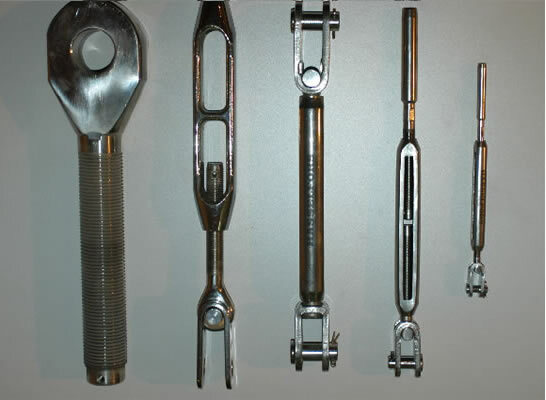 To understand better the problem as a unit of measurement we assume the number of cycles (40,000) which the terminals can withstand and this depends on various factors: form the use of that piece of rigging to the ageing and quality of the material used in it's construction. 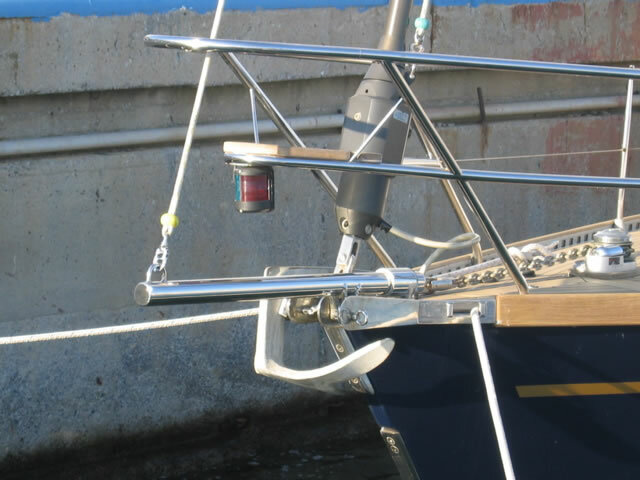 The rigging must be changed if the boat is used continuously for 2 to 3 years or after 10 years if usage is around two to three months a year. There is no formula to adhere to, or calculations to make, with time the material ages, it's structure changes it can fail without warning. 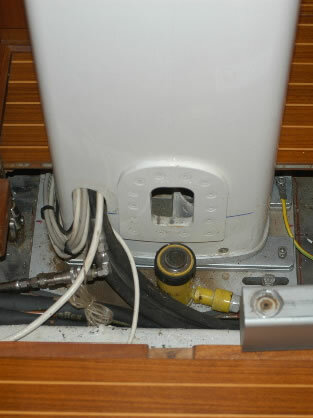 Even for spiral cable and rod the same principle applies. For aluminium masts of 20 years or more one must consider that it has reached 80% of it's useful life. 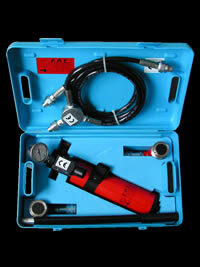 Once again many factors are involved including the amount of oxidization, the type of use and maintenance history. Alumium, with time, is not stable from a metalurgical poit of view. 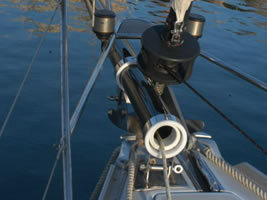 This is further complicated in a saline environment further reducing trhe practical life of the mast. 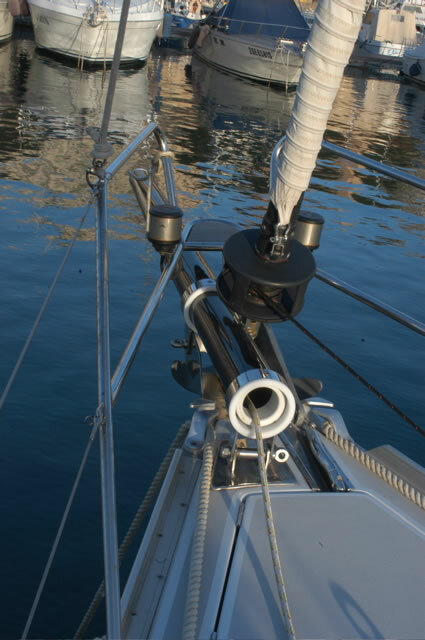 All this falls with the programmed ordinary maintenance which every owner should follow for the mast and sailing equipment the ensure the safe us of his vessel. 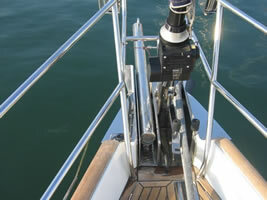 All this is part of the ordinary maintenance that every owner should make for the mast fittings on his vessel. For further information - info@maxspar.com - providing as much technical details as possible to allow us to send you an immediate quotation by return.